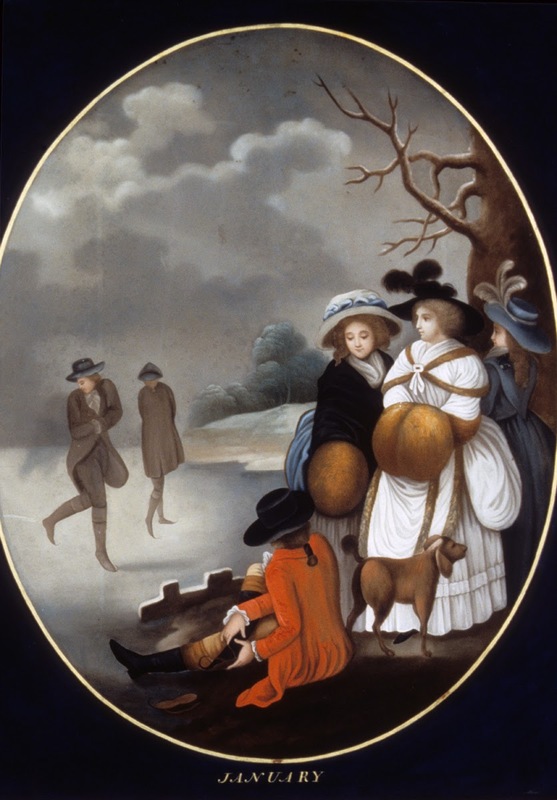 I recently came across this image of “January” in the Winterthur Museum Collection (More). 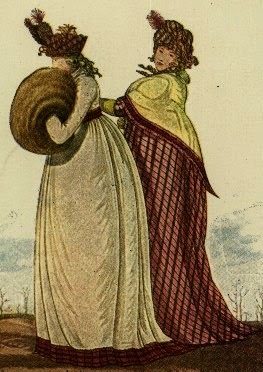 It is a delightful example of a genre painting -- winter ice skating, with three fashionably attired young women placed prominently in the foreground right with their oversized muffs, hats and elaborate plumes. A seated young gentleman in crimson coat has his back to the viewer and appears to be donning (or removing) his skates, while conversing. A dog stands by. The young men skating in the distance are clad in drab common wear – no bright red coats –which look well-worn. The painting is reverse (oil) painted on glass – an oft-encountered example of the skilled artisans and artists of the Asian Export trade. Made in Canton, China, it was intended for a Western audience. The date of 1789-1810 for its execution corresponds perfectly with the taste and style of the era. 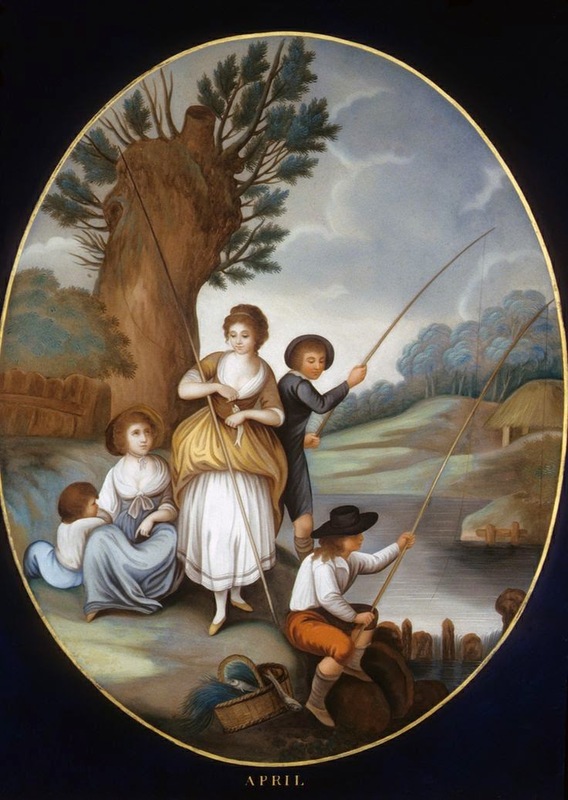 Another example of the monthly series is one of a group fishing - here a neatly dressed young lady disengages a fish from her hook.